ALL fireworks, even so-called ‘safe and sane’ variety remain illegal in the City of Los Angeles, the Los Angeles Fire Department reminds you. Those who use, possess or transport any type of firework in Los Angeles may be subject to criminal prosecution – or worse yet, painful and debilitating injury. All fireworks are illegal in the City of Los Angeles, SEC. 57.55.01(A) Los Angeles Municipal Code (LAMC). It shall be unlawful for any person to use, give, possess, sell or discharge any fireworks. 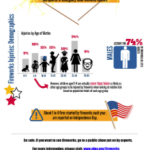 Fireworks are considered explosive devices, and they are extremely dangerous. 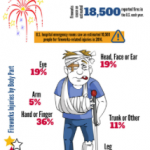 Every year numerous children and adults are injured or burned as a result of playing with fireworks. “Safe and Sane” fireworks have the State Fire Marshal’s seal stamped on the packaging. This seal indicates that the explosive substances contained in the firework have been tested and meet specific safety and performance requirements, but nevertheless are illegal in the City of Los Angeles. You may turn in your fireworks to LAPD – without penalty. What is the City doing about fireworks? A citywide collaboration exists to educate, enforce, and change the culture about fireworks. 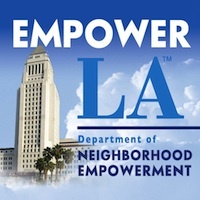 The Los Angeles Fire Department is partnered with the Los Angeles Police Department, Los Angeles City Attorney, MySafe:LA and other entities to help make people aware of the extreme risk they create for themselves and others should they use fireworks of any kind within the city limits (the risk exists wherever fireworks are used). Our pets will be terrified, and nobody wants to have unhappy pets! So, join the team. Leave fireworks to the professionals. Be safe this 4th of July and all summer long. Here is a list of FREE Public Fireworks Shows in the Los Angeles City Area – the safest and most enjoyable way to celebrate our nation’s independence. For those outside the City of Los Angeles, in areas served by the Los Angeles County Fire Department, please consult this list of professional fireworks displays, or call (888) 654-FIRE.